Capital stock taxes, sometimes referred to as franchise taxes, are levied in sixteen states. Not to be confused with corporate income taxes, which are levied on a business’s net income (or profit), capital stock taxes are imposed on a business’s net worth (or accumulated wealth). As such, businesses must pay a capital stock tax regardless of whether they make a profit in a given year. 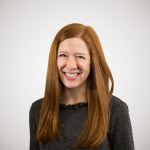 In addition, capital stock taxes are not always limited to C corporations; states have different laws regarding the types of businesses that are subject to a capital stock tax. While exact methodologies vary from state to state, capital stock taxes are usually levied as a percentage of a firm’s net assets, with rates ranging from a low of 0.02 percent in Wyoming to a high of 0.37 percent in Connecticut. Among the states that levy a capital stock tax, half place a cap on the maximum capital stock tax liability a business may be required to pay, while the other half do not have a limit. Among the eight states with a cap, Georgia’s is the lowest at $5,000, while New York’s is the highest at $5 million. In Connecticut and New York, the capital stock tax functions similarly to an alternative minimum tax, where firms calculate both their corporate income tax liability and their capital stock tax liability and pay whichever amount is greater. In Georgia and Nebraska, rather than being levied as a percentage of net assets, the capital stock tax is based on a fixed dollar payment schedule with tax rates decreasing as taxable capital increases. Note: Capital stock taxes are levied on net assets of a company or its market capitalization. Source: State statutes; Bloomberg BNA. (a) Taxpayer pays the greater of corporate income tax or capital stock tax liability. (b) Based on a fixed dollar payment schedule. Effective tax rates decrease as taxable capital increases. (c) Tax is being phased out; liability limited to liability in tax year ending Dec. 31, 2010. (d) Tax will be fully phased out by 2027. Taxing a company based on its net worth disincentivizes the accumulation of wealth, or capital, which can distort the size of firms and lead to harmful economic effects. 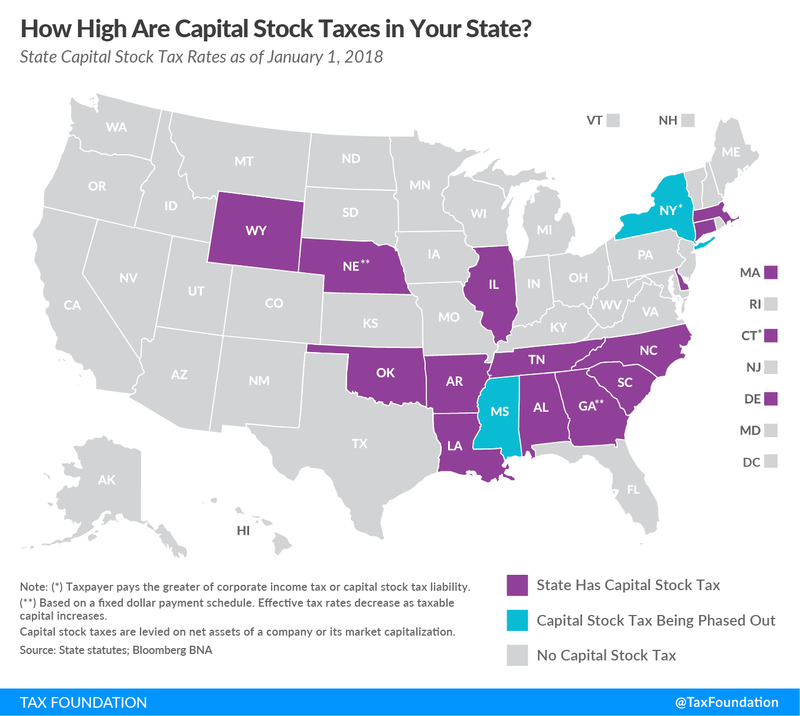 As legislators have begun to recognize the damaging effects of capital stock taxes, many states have reduced them or repealed them altogether. Kansas completely phased out its capital stock tax prior to tax year 2011, followed by Virginia and Rhode Island in 2015 and Pennsylvania in 2016. New York and Mississippi are in the process of phasing out their capital stock taxes, with New York’s scheduled to phase out by 2021 and Mississippi’s by 2028.